YESS is currently seeking for new members for the working groups for the period April 2019-2020. Find the call for new WG members here. 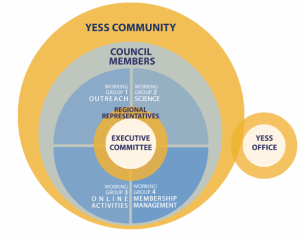 The activities of the YESS community are developed through the working groups (WGs). The WGs help strengthening the YESS community by co-developing YESS initiatives, co-organising YESS activities or by ensuring the growth of the community. 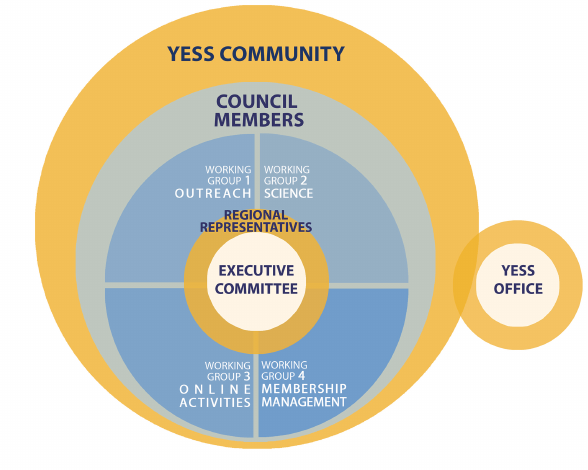 Currently YESS has four WGs: the outreach WG, the online-events WG, the membership WG, and the science WG. Being part of a YESS Working Group will enable you to further develop skills in addition to your academic career, as well as to gain experience to conduct activities on an international level and to expand your network on a global scale within the Earth system science community. If you would like to be part of a working group – don’t hesitate to contact them! Online Events – The Online Events WG focuses on enabling early career scientists from all over the world the opportunity to participate in online training courses and seminars related to the widely understood Earth System Science (ESS). The idea behind organization of topical online events is not only to provide knowledge and expertise but also to give opportunity to exchange skills and experience. Find a few examples of online webinars previously organised here. More information or interested to join: online-events@yess-community.org.